Whoa. Danny Garcia knocks out Amir Khan. I grew up watching Luisito Espinosa. Back in the day when live boxing matches were shown on free TV, with bearable amounts of advertising, Espinosa was the undisputed King of Philippine Boxing. I can hardly remember whom he fought, or the titles Espinosa won, for I wasn’t even in my teens yet. But one thing’s for certain: the name “Luisito Espinosa” shall forever be synonymous with boxing. It tore my heart reading about the decline of Espinosa. Luisito was hamstrung by unscrupulous promoters (he still hasn’t received his $150,000.00 from a fight back in the 90’s). 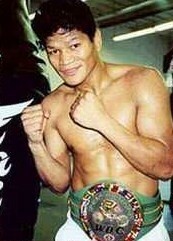 After losing his boxing title in 1999, Lindol’s career went on a downtrend. From a once proud champion, Espinosa now cleans carpets for a California casino. 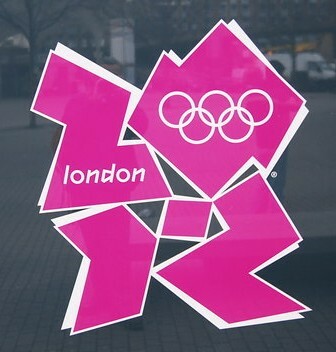 He was forced into retirement in 2005, suffering crushing losses to no-name upstarts. 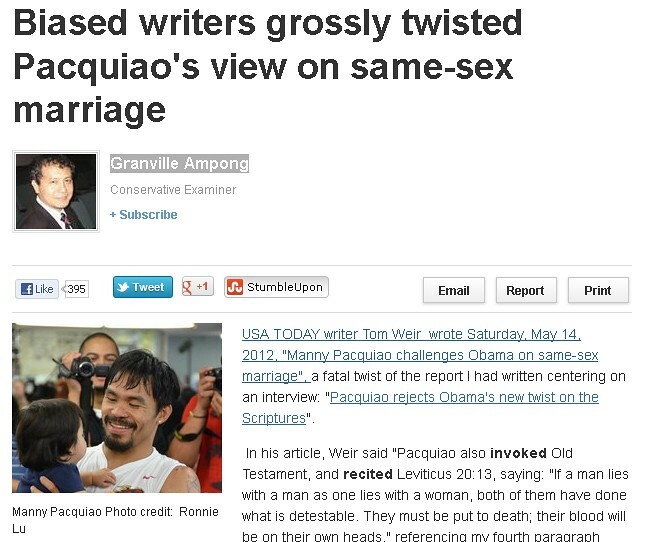 According to articles by Inquirer’s Percy Della (7/16/11, PDI) and Phiboxing’s Gov. 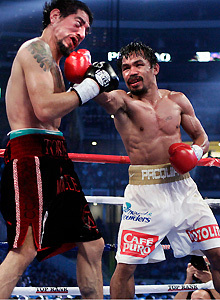 Manny Pinol, Espinosa is on a comeback trail at the advanced age of forty-four. Well, George Foreman had won titles at that age before, so it isn’t impossible. Will Espinosa do a Foreman? I hope to the high heavens that he does, for the sake of his body. Obviously, I’m not as big as a boxing fan as I am a track & field addict. Outside of Manny Pacquiao, Gerry Penalosa and other Filipino fighters, I find it a chore to watch boxing matches to the finish – despite my deep respect for prizefighters. Jorge Arce is an exception. He fights with so much heart and displays just the right amount of off-ring flamboyance (I love his cowboy entrance). A few moments ago, I caught a replay of Arce’s first fight with Australian Hussein “Hussy” Hussein. It was like watching a live action version of Hajime No Ippo, without the dramatic voice overs. 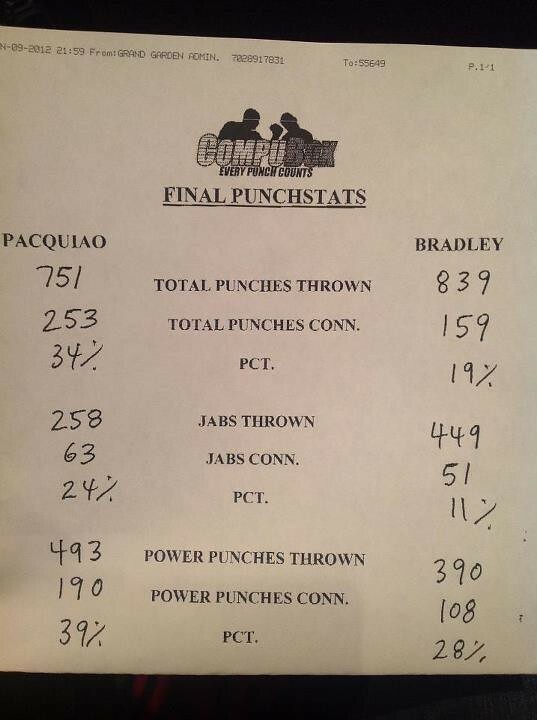 It was a no-holds barred battle of attrition, with both fighters slugging it out for most of the fight. By the middle rounds, Arce sustained a mean cut on the bridge of his nose. But he still soldiered on, throwing punches seemingly at will. Hussein was a tad bit less intense, and appeared to buckle after some solid hits from the Mexican. In the 10th round, Arce clipped Hussein with a looping left, causing the latter hit the ropes and bring up his guard. Hussein seemed to have recovered from the blow before Arce again cornered the Australian in the dying seconds of the 10th round. A flurry of punches felled the hapless Hussein as his corner stopped the fight. At the end of the bout, Arce’s face was a bloodied mess. And yet, you can see the satisfaction in his face. To be able to taste victory after such an herculean effort, truly, is rewarding. I grew up watching boxing matches. 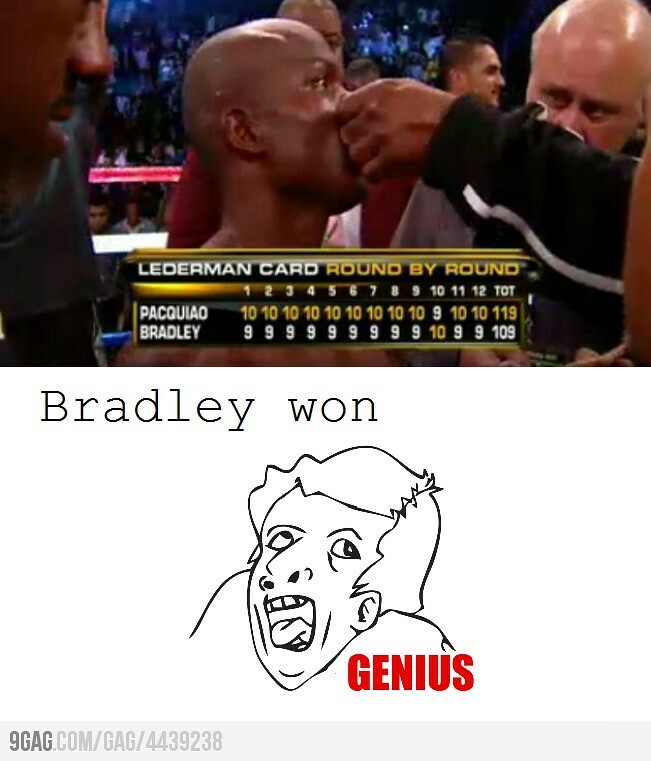 Manny Pacquiao was still unknown. Professional boxing matches at that time were aired live on RPN 9 without much fanfare. I remember watching fights of Luisito Espinosa during lazy Sunday mornings. 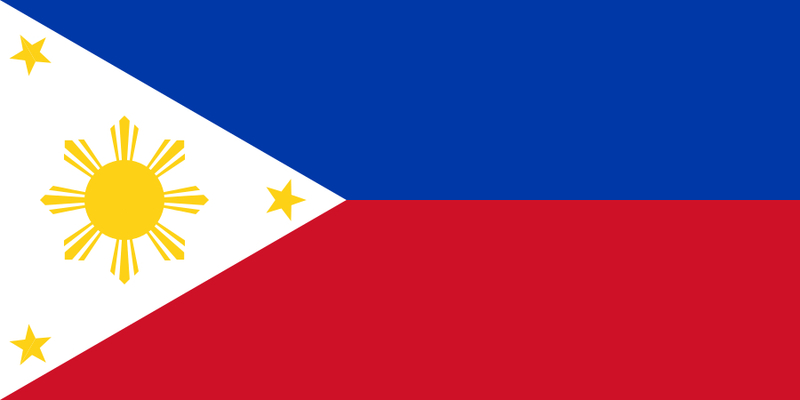 And like most Filipinos in 1996, my heart sank when Mansueto Velasco narrowly lost the gold in Atlanta. 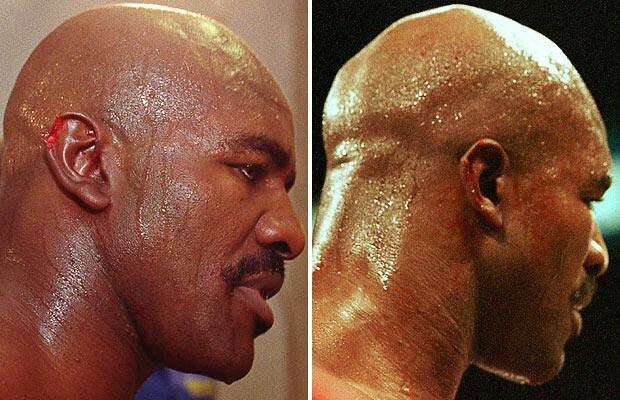 National pride aside, the infamous Mike Tyson–Evander Holyfield match stands out. I used to idolize Iron Mike. The name Tyson was synonymous to boxing, for the wide-eyed, ignorant kid that I was! 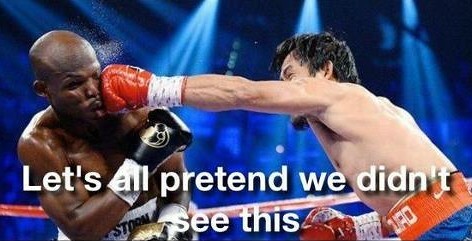 I marveled at the way he knocks out people. 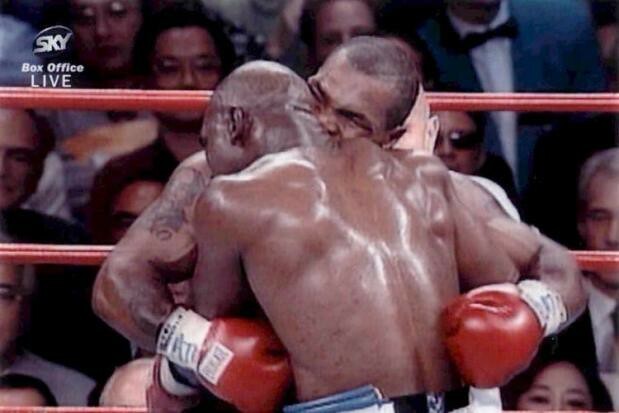 In the Tyson-Holyfield fight, I rooted for Mike – until he bit off a piece of the latter’s ear. I cannot comprehend how a sportsman can do such a thing to a competitor. But then again, boxing is a cruel sport, where death and permanent disability are dire possibilities.